Why do you love Aurifil? We are loving all of the bright new collections of Aurifil threads. Browse through these new collection and then check out the fun video below! 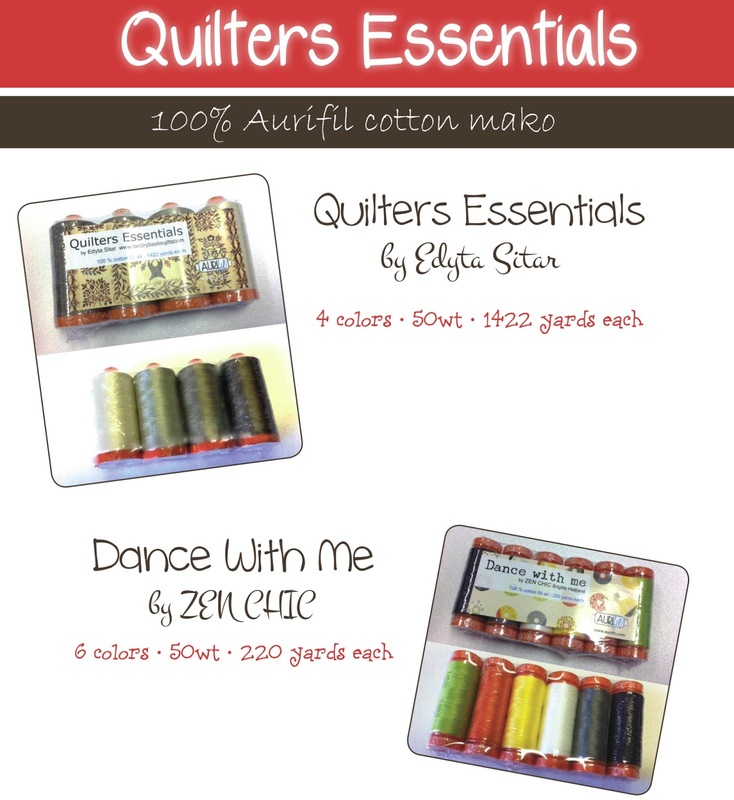 We all have our own reasons for LOVING Aurifil threads. 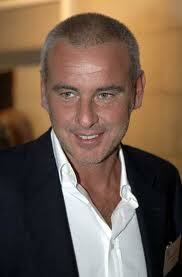 It couldn’t have anything to do with this handsome Italian could it? ?… wink, wink. Watch this little video to see why your favorite designers love it so much. By Sarah CastanedaIn NotionsTagged Aurifil, Laundry Basket, Pat Sloan, Thread59 Comments on Why do you love Aurifil? Next Next post: Isn’t technology fun? 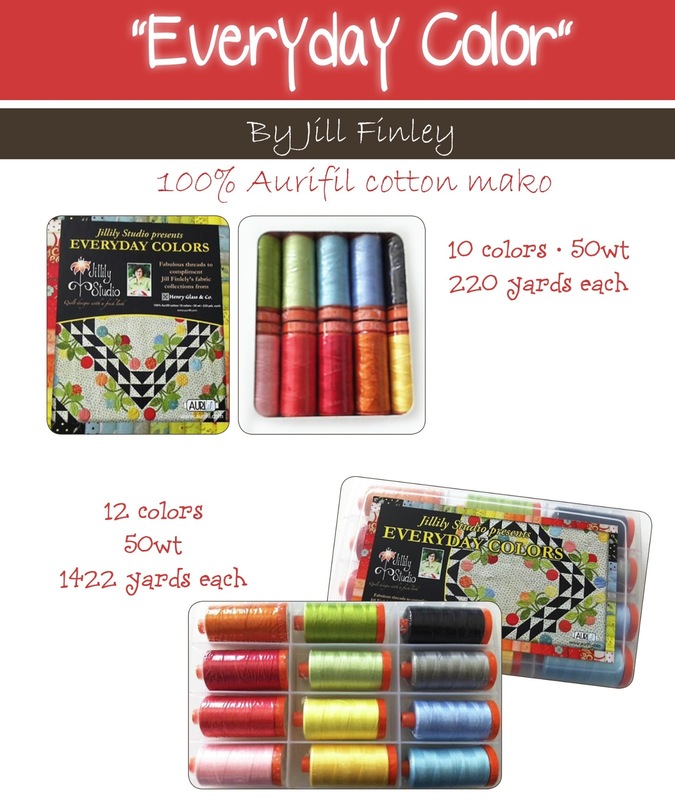 10 Top Reasons I LOVE Aurifil! 1. Made with long staple Egyptian cotton. 3. Can load more thread on the bobbin. 5.Twist off end caps so you can tuck in thread. 6. Love the designer endorsed kits! 7. So many delightful colors to choose from! 8. Comes in Cones, spools and mini spools! 9. 4 different weights to choose from …plus a wool blend! a 50 wt. spool? Wow! It’s great! It doesn’t make my sewing machine all linty and it doesn’t just fall apart when you’re using it to hand sew binding on! 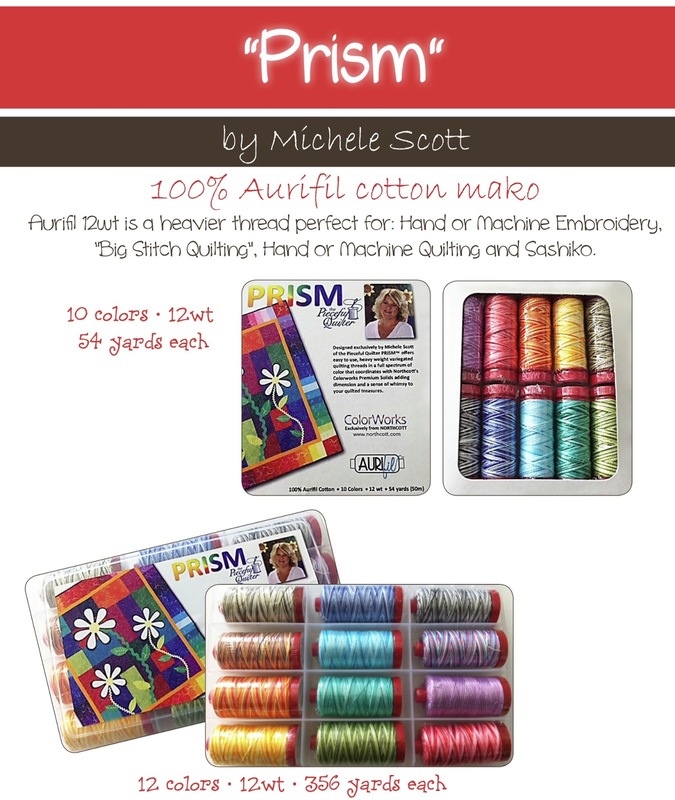 I love lots of things about Auriful thread. My number one reason is it matches every fabric I have or will buy. I admit I do make sewing mistakes and Auriful thread doesn’t leave behind any tell tail stories when I have to remove thread. It is the only thread I use in my machine. I am now working on using 28wt in some of my hand work. Will keep you posted on my outcome. I love it because the spool seems to last forever… and it doesn’t lint up my machine. It boils down to one word – quality. The colors don’t hurt, either! Seeing Alex definitely helps, but Aurifil is wonderful thread. I love how it just melts into the seam when piecing (50wt) and how it quilts. The colors are beautiful, there is a lovely sheen, and it really is economical when compared to other brands. The cost per yard is really better than many, plus since it doesn’t fray or break, you are saving money. Less times you need to waste thread by rethreading after a break, so it saves inches you normally cut off! Love Aurifil. I don’t know what it’s like! Never gotten to sew with any! It’s wonderful to sew with. It’s so clean and smooth in the machine. I love it. It’s not easy to find at quilt shops, so I always buy it at the Quilt show in DesMoines, IA in the fall. I heart Aurifil threads. They come in every color imaginable – and packaging some for special “projects” just makes it so much easier to do one of those fancy projects – like Sarah Vedeler’s wonderful projects. Thank you for every spool of AURIFUL that is made! You have a true believer and buyer in Sew Cindy!!! 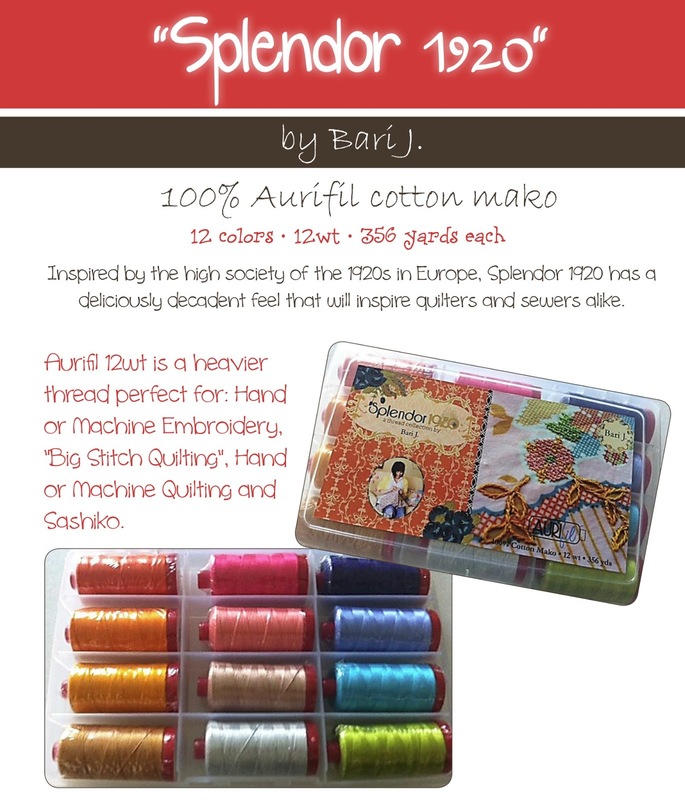 And, what’s equally as wonderful, my Bernina shop carries Auriful! Colors that blend with my fabric, stitching that doesn’t add to the seam, and it last forever are all reasons to love Aurifil. Next up for me is quilting with 40wt and 50wt and then a bit of embroidery. I love Aurifil because of the colors, and the perfect weights for my projects. I use it for piecing and for redwork…perfect for both! Love the choices, feel & colors. It sew so well in my machine and doesn’t have all that lint buildup like other threads. Color, color, and more color! Aurifil has a color for everything I can think of. It glides through my machine and never breaks. I love it! I love all the colors, all the weights. I love that it doesn’t leave all the lint behind and that the spools last forever! It ‘s the best and the only thread I use! Last year I bought my first spool of 50wt gray for a quilt and I fell in love. I was pleasantly surprised to see the stitches disappear when I was hand sewing the binding. I love the colors and less lint. I love the different collections. Smooth sewing, even on my 1957 Singer machine! I am afraid that I have not had the opportunity to try Auriful threads. I hear so much about them. The colors look fantastic! I have yet to try Auriful thread. I’ve read good things about it and love all the colors available. It will happen, just not sure when. I love that I don’t have to fill my bobbin as often, I don’t have to clean up so much lint and it’s fine but strong. I can use it for applique, on my Bernina or even on my HQ16. I love it so much, I buy my favorite neutral colors on the giant cones–they last for ages!! I love the color selection and that there is less lint in my machine. Plus it seems to last forever! 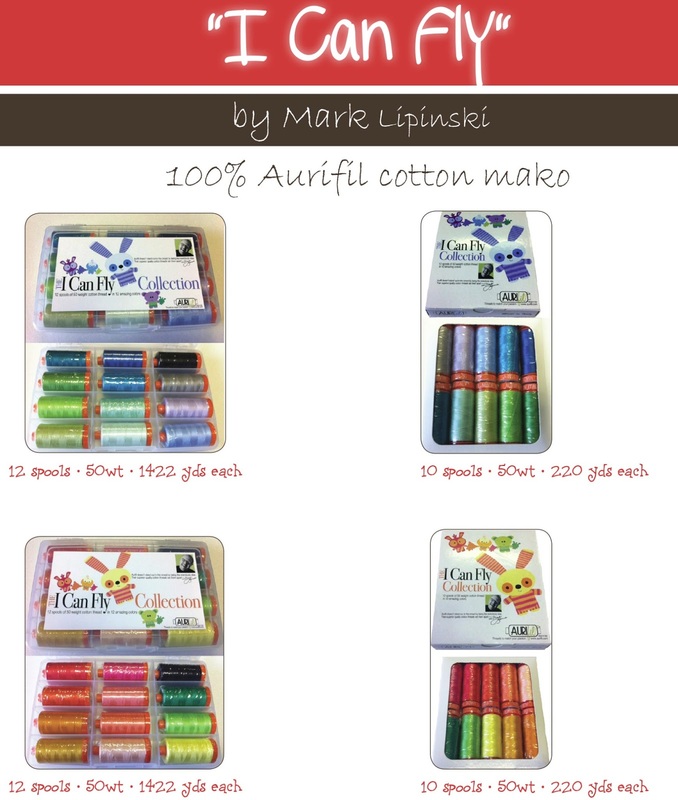 Aurifil is a great product! Aurifil is awesome! The colors, the smoothness of the thread, amazing thread! I want to get more, soon! There are at least a dozen reasons that I love Auriful, but the primary ones are the spool size (plenty on there), thread weight (50 is perfect for precision piecing or hand turned applique), lack of lint, and of course, the COLORS!!!! I must admit to a small obsession with the verigateds…they are delicious!!! Traci definitely covered all my reasons! I use Aurifil exclusively for piecing and quilting now, usually 50wt but sometimes the thicker weights too. Love how it sews! I love it for the beautiful colors, the lack of lint, and for the delightful way it coordinates with my favorite designers. I keep hearing how wonderful it is, but having had a chance to try it yet. Loved the video. It leaves my machine so clean ! Very little lint. AND the colors are beautiful !!! It’s the only thread i use ! Gave the rest away !! I don’t know what it is like to sew with Aurifil. It is very expensive and I am on a very limited income. I have probably entered at least 50 giveaways for it and never win…..so until I do I can’t answer the question….I’ll just have to take everyone’s word for it. I have been using Aurifil for about 10 years now, and I absolutely love it! One of my favorite purchases from Sample Spree at market in Houston was a box with 12 different colors! It’s a perfect rainbow of thread! My sewing machine loves it! The stitches come our even all the time! 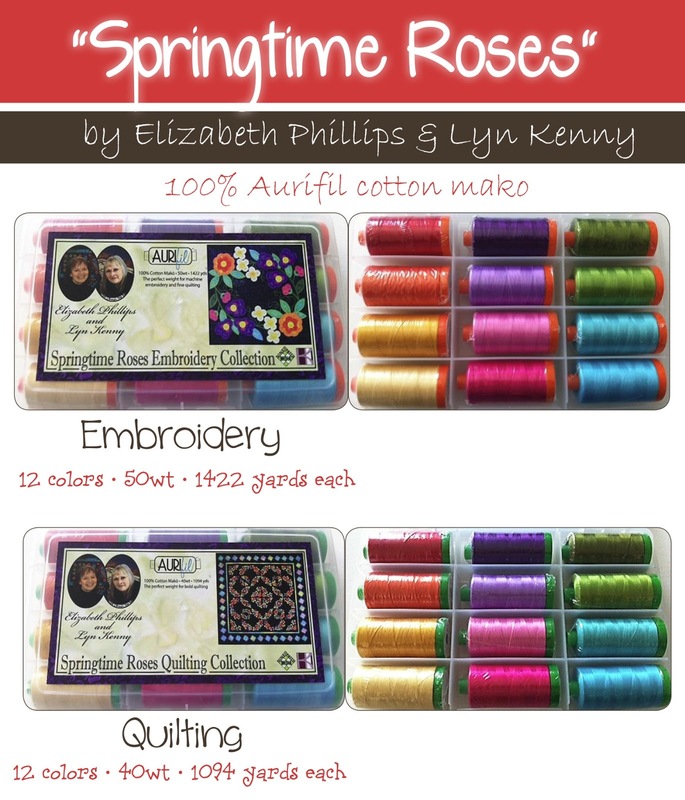 I like Aurifil because of the way it sews – beautifully – in both piecing and quilting. Watching the video and reading the comments makes me want to get some! Need to try this out! Thanks for the info!! I have not tried this thread yet, but will now! I also haven’t had any experience with Aurifil yet, but if it’s really as wonderful as you say it it I’ll have to try it. I’m learning that thread is an important component of a beautiful quilt. I love Aurifil thread for machine quilting. It looks beautiful, doesn’t build up lint and just makes me happy! I LOVE Aurifil and use it almost exclusively because my machine loves to quilt with it, and my machine is the boss of me! Seriously…it never breaks and quilts up beautifully…love it!